There's a LOT of pictures here. Hopefully they will all load while you are reading the little story that follows. 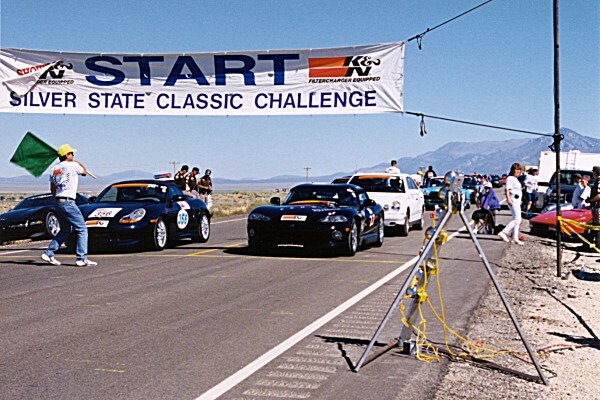 This was our third race in Nevada on Highway 318. 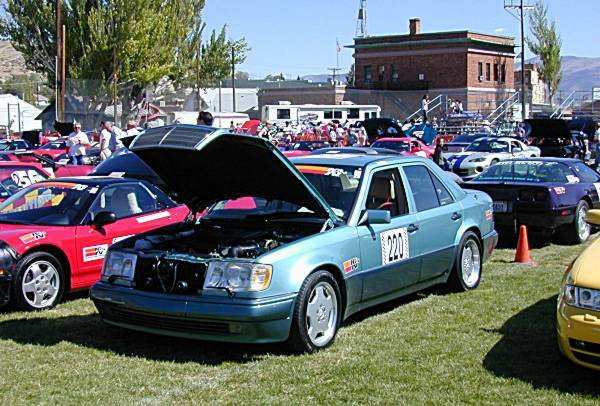 As before, we entered the 110 MPH class, which has more entries (and, thus, more competition) than any of the other classes. There were 39 entries in our class. The race is run against the clock: the person who travels the 90 miles in the time closest to the "perfect" time wins. In our case, the "perfect" time is exactly 49 minutes, 5.45454 seconds. Our actual speed was 109.9834 MPH for the 90 miles. We were 0.444 seconds late after 49 minutes of driving, which earned us fourth place. Duane Bily took first place at 110.0029 MPH, Jay Morrison was second at 110.0139 MPH, Mark McGee was third at 109.9851 MPH. In our last race, which also had 39 entries, our 1.2 second error earned us a third place trophy. We cut our error to 0.444 seconds, and came in fourth! We did much better with our timing, but not good enough for a trophy this time. Watch out next time, we will keep trying to do even better! To give you an idea of how close we thought we were: One of our additions for this race was a countdown stopwatch, a Hanhart Rallye. I set it to count down the 49 minutes, 5.45 seconds which would be the perfect time for running this 90 mile race. When it is three seconds from the end, it beeps. Than again a second later, then a third time. At the exact finish time it makes a VERY LONG beep. The beginning of that long beep is the end of the pre-programmed time. It started it's long beep exactly as we crossed the finish line! We thought we were perfect. Unfortunately, we must have delayed starting the stopwatch 0.444 seconds at the start. Click here to learn about the Hanhart Rallye countdown stopwatch. Click here for the official results. Select September 17, 2000. Note that the "text version" of the results has some additional information not contained in either the "results" or the "radar speeds". 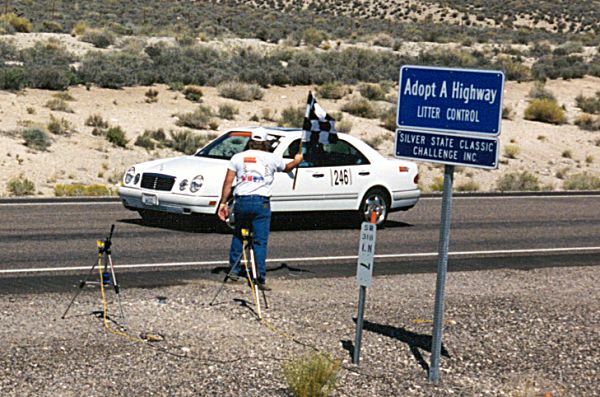 We sped up a bit for the radar trap, and we were clocked at 121 MPH, one MPH higher than in May and 8 MPH higher than in our first race in September 1999. 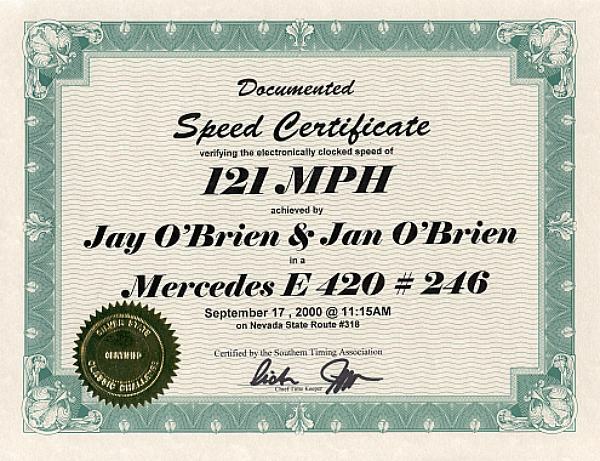 Of course we were careful to not exceed the "tech speed" for our class, 124 MPH, which would result in immediate disqualification. The SSCC organized and put on a wonderful event. We just can't say enough about the effort put forth by the Silver State Classic Challenge folks, and we can't tell you enough about the wonderful hospitality extended by everyone in Ely. Ely is a City with under 5,000 residents, and there are only about 10,000 people in White Pine County. 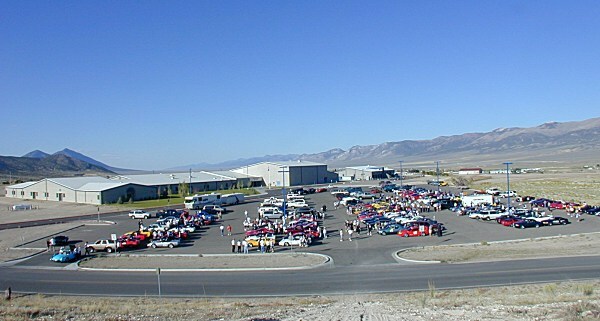 I think all of them came to the car show on Saturday, thanking us for coming and wishing us luck. Food in Ely? The Jailhouse has wonderful steaks, served in "authentic" jail cells. Hotel Nevada puts on excellent meals, and for "fast and good", try Evah's in the Ramada Inn Copper Queen where we stay. This time we made another great find: "Good Friends" Chinese restaurant. Fortunately we found Good Friends on the last day we were in Ely; we brought home what we didn't eat in our cooler and enjoyed the rest of the meal here in Rio Linda, California, our home. Somehow I forgot my fire extinguisher. When I realized my problem Friday night, Ely's Mayor Bob Miller told me exactly where to find one Saturday morning that would meet the race requirements. He was exactly right! Whew! Out of 222 listings on the "grid sheet", there were four MBs. Two of them were diesels! How about joining us as "Team Mercedes"? We only need ten entries to field a team. 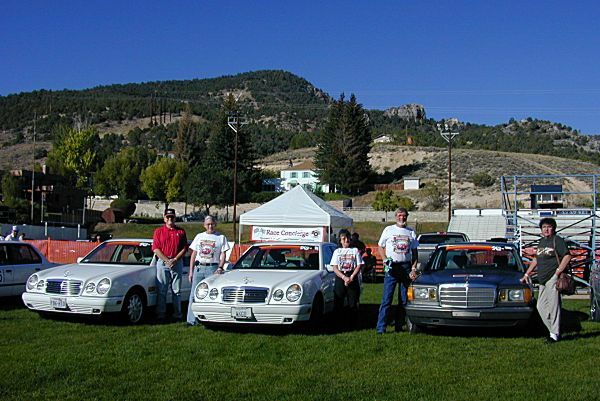 If you are a Mercedes owner, and would like to be added to the "Team Mercedes" mailing list, hopefully in preparation to joining us on Highway 318 in Nevada, please let me know! Send email to jay@mbz.org. 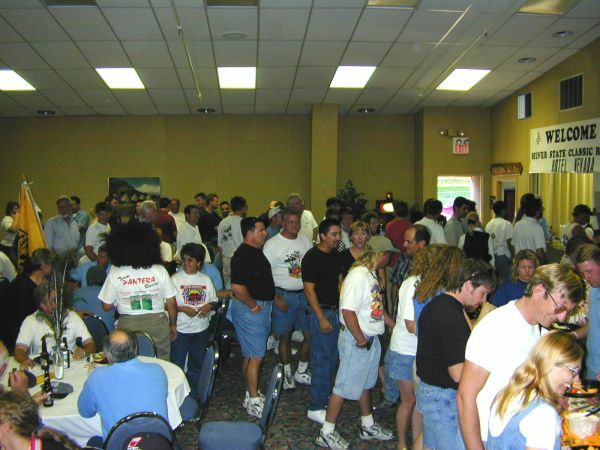 Click here for our May 2000 race pictures. On Friday, we gathered at the Ely High School to form the Parade through Ely to the Convention Center. We met June and Al Lumas at the High School. 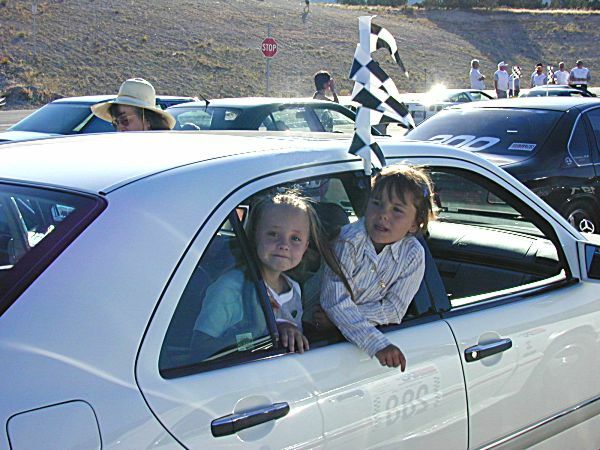 These are the local celebrities, Kaylee and Heather, who we hosted in our car for the parade. As usual, a superb welcome reception Friday at the Bristlecone Convention Center. L-R Bill Golden, Jay and Jan O'Brien, Al and June Lumas. 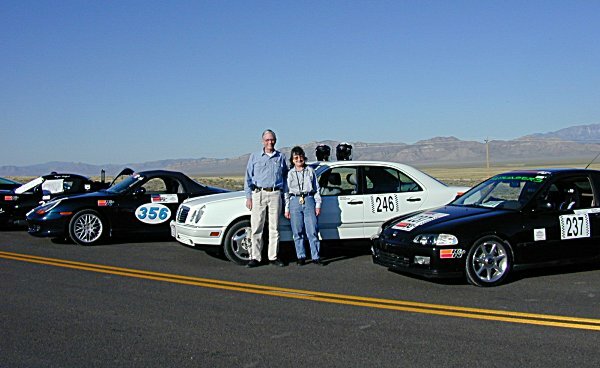 Dean and Diane Albrecht from Canada, and their Mercedes E500, were with "Team Invaders"
All of these folks came from outside the USA to Race! On the grid: Jay and Jan O'Brien ready to challenge Highway 318. We're the second car on the right. Cars are started every 30 seconds in our class. Jay Morrison and Geoff Morrison (on the left) will start before us. Note the tripod in the foreground that holds the "christmas tree" of lights with the green start light on the bottom. And the checkered flag. This picture and the one above from Fantasy Studio, Ely NV. Note the "LN 7" Highway Marker. We sped up a bit going by the announced radar location, being sure to stay under our 124 MPH tech speed. Exceeding the tech speed means disqualification. 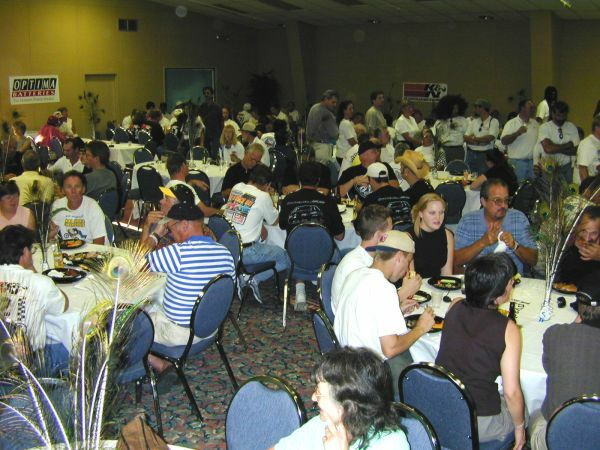 The official Award Banquet is held in Las Vegas. However, many of us would rather stay in Ely. 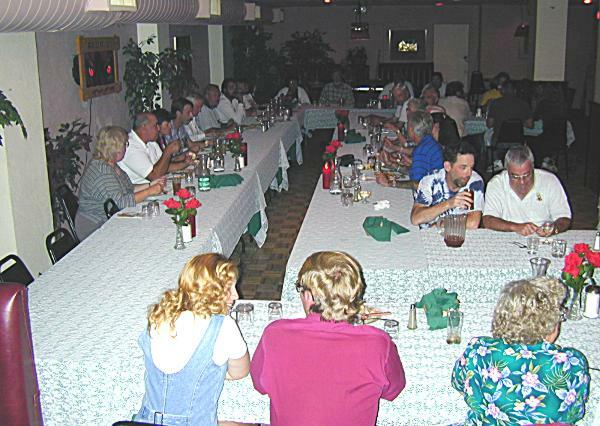 Here's the happy group at the Nevada Hotel dinner in Ely after the race. 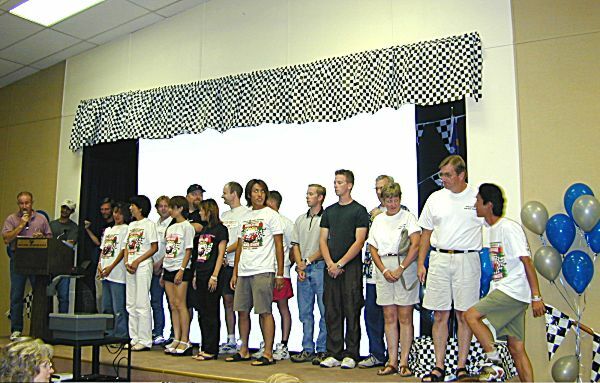 Note our host Phil Henry on the right; he is praying that he really does get the results faxed to him and avoid mayhem at the hands of us racers. 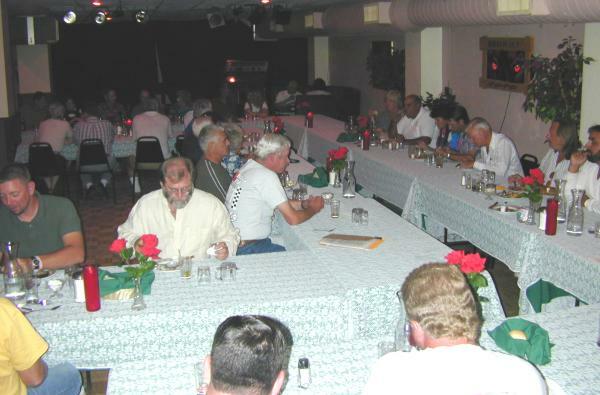 Another shot of the Ely dinner. Oh yes, Carl Young did fax the results, and Phil lived to see another day. After the race we stayed in Ely for a few days. 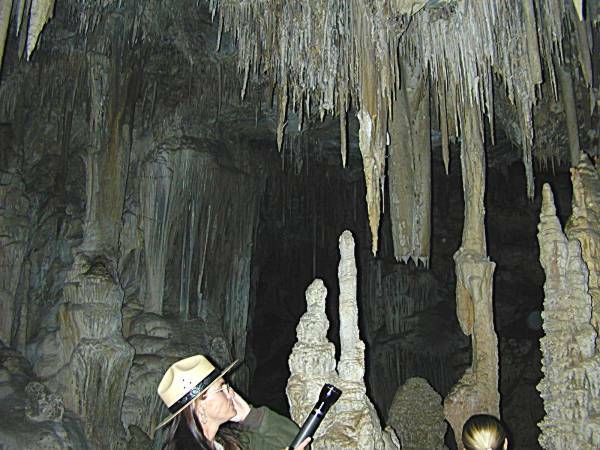 One excursion was to Great Basin National Park. Don't miss the Railroad Museum and the White Pine Public Museum! 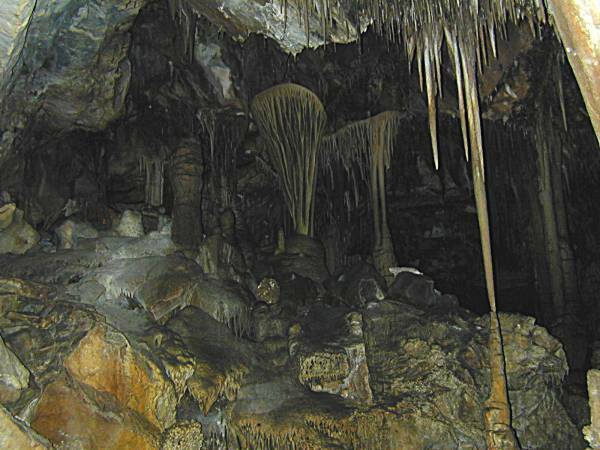 This cave has really unbelievable stuff! Here's Jan, our E420, and Great Basin National Park's Mt. Wheeler. One is much older than the others.